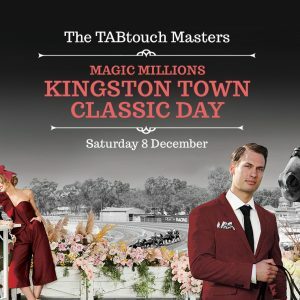 The final event of The TABtouch Masters promises classic good times with the $1,000,000 Magic Millions-Kingston Town Classic. It’s the southern hemisphere’s richest Group One (1,800 m) race, named after the legendary three-time WS Cox Plate winner. Enjoy a sensational afternoon with family and friends whilst taking in the fabulous hospitality options on offer. * Advanced bookings required. No further discounts apply. Not to be used in conjunction with any other offer. A 24-hour cancellation policy applies. Rates are per one or two night stay in a Deluxe, Luxe or Superior room. 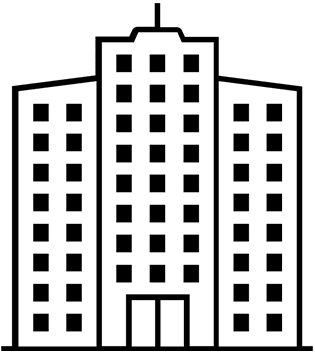 Pricing is based on Double or Twin Share rooming and is inclusive of GST. Single supplements are available for selection in the booking process. Some more information on hotels, tickets, racedays and other activites! Designed to create the feeling of unimagined luxury and spaciousness, Crown Towers Perth guest rooms are styled in peaceful neutral tones accented with the highest quality furnishings and amenities. Featuring expansive pools, private cabanas, poolside dining and the opulent Crown Spa, the leisure facilities set a new benchmark for resort living. 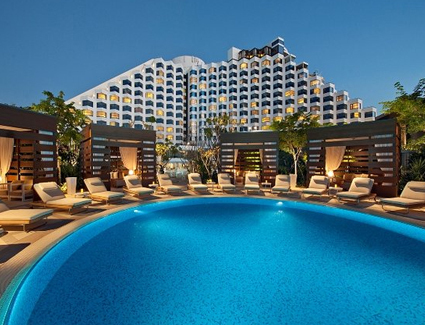 The ultimate in modern elegance, Crown Metropol Perth’s sumptuously furnished rooms and suites promise to deliver a truly unique hotel experience. Surrounded by glamorous day beds and lounges, Poolside features a large main pool, relaxation pool and a family friendly pool complete with children’s waterslides. 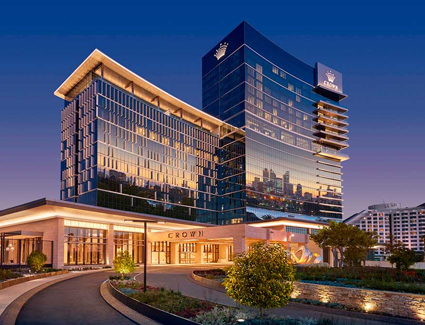 Positioned within the heart of the Crown Perth, Western Australia’s premier entertainment destination, guests can choose from a range of world renowned restaurants and bars including Rockpool Bar & Grill and Nobu. Meticulously designed to meet Crown’s unparalleled level of luxury, every guest room at Crown Promenade Perth boasts bright and spacious interiors, custom made contemporary furnishings and every imaginable amenity that one expects from a modern hotel. Discover world-class restaurants during your stay, with a long list of choices that encompasses everything from fine dining to casual fare, plus Crown Promenade Perth’s signature restaurant Market & Co, there’s something for all occasions. 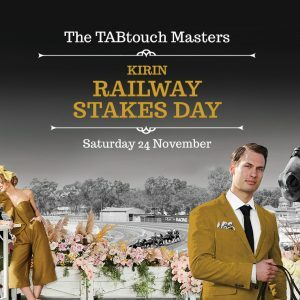 The Kirin-Railway Stakes, Perth’s most historic Group One race, gets the TABtouch Masters under way on Saturday 24 November. One of Ascot Racecourse’s most exciting days of the season, you will enjoy a day of top racing, live entertainment, fashion, celebrities and outstanding restaurant and hospitality options all day long. 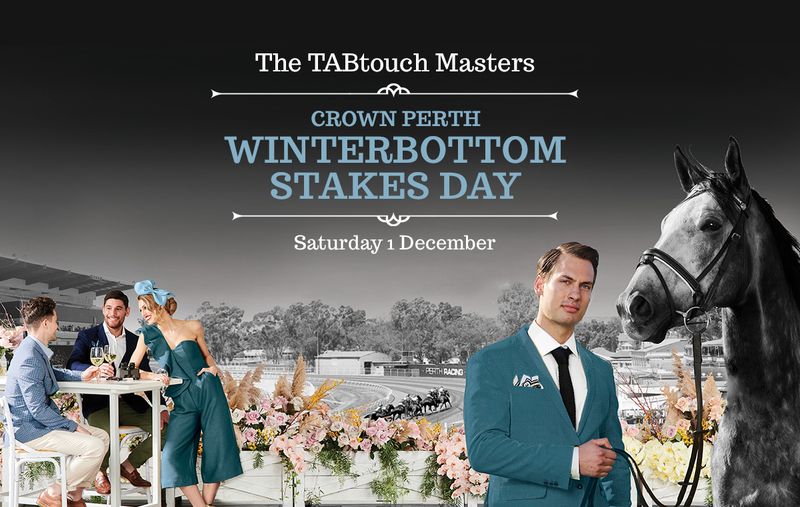 The good times continue in the second week of The TABtouch Masters featuring the $1,000,000 Crown Perth Winterbottom Stakes. It’s the final sprint race for 2018 and features a star-studded field of world class thoroughbred speed. 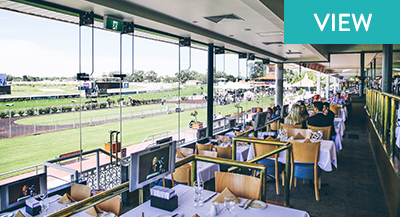 Enjoy your hospitality option of choice before taking in the final of the WA Country Cups ‘Fashions on the Field’. Join us trackside with a General Admission ticket. 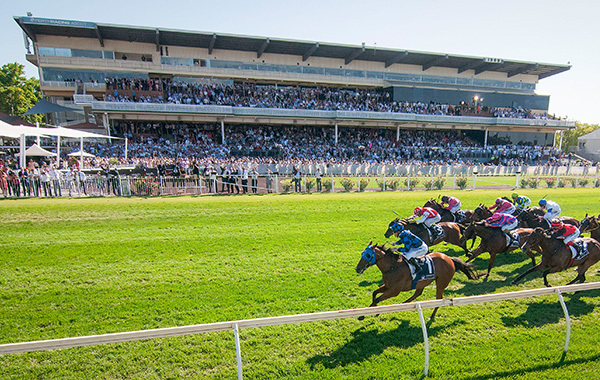 Western Australia offers many extraordinary experiences and a day at Ascot Racing Carnival is one of the best. 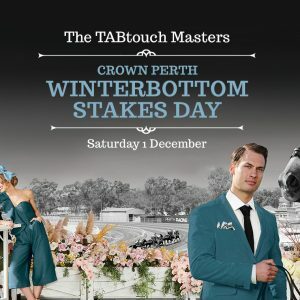 Join us for The 2018 TABtouch Masters; the world’s only single-track thoroughbred racing festival featuring three Group One races each worth $1,000,000 The 2017 TABtouch Masters was last year’s international breakout hit in the Sport of Kings and this year’s third edition will be even better. For the ultimate day out at the races, experience the recently refurbished Flying Colours, a premium dining room for Members and guests. With capacity for up to 250, seated across tiered floors with magnificent views of the entire track, you’ll enjoy a leisurely three course lunch in the most sought-after dining facility at Ascot. 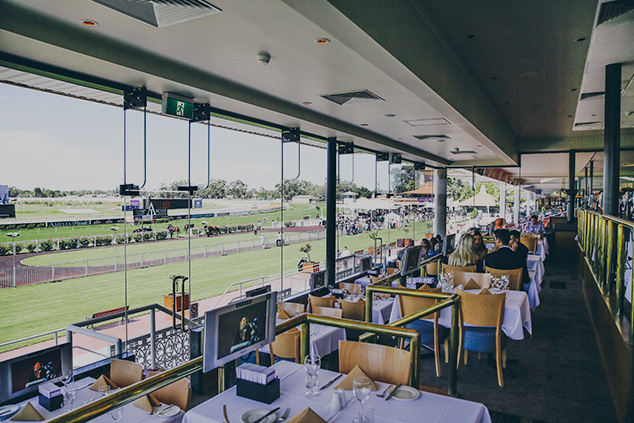 The raceday menu is complemented by an extensive premium wine list consisting of both table wines and, exceptional and imported wines from top producing winemakers and regions, including a focus on WA’s famous Margaret River and the Great Southern regions. Indulge in a four course buffet luncheon and enjoy a day of socialising and great racing with friends and family, all from the comfort of your personal reserved table. The lower level is ideal for smaller groups of 6 or less and provides a bird’s eye view of the track for you and your guests. Each table has a private LCD screen as well as offering access to the outside area of the grandstand. Table configurations of 4 or 6. 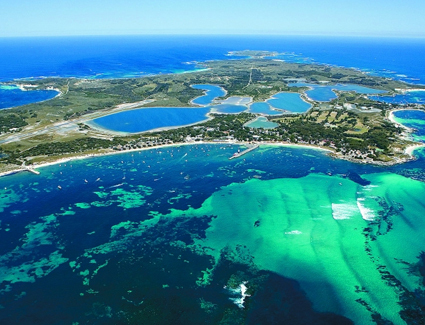 Rottnest Island is Western Australia's very own Island getaway, featuring a casual atmosphere, picturesque scenery and some of the world's finest beaches and bays, is located just 19 kilometres off the coast of Fremantle. Mediterranean-style climate and indigenous flora and fauna of this Island provide the backdrop to a special holiday experience. 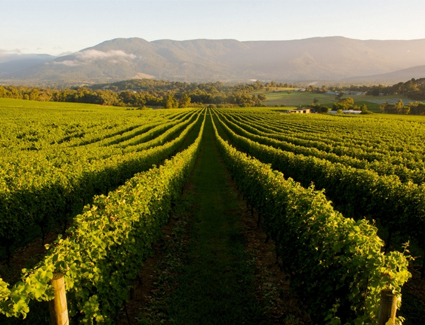 Only a 25-minute drive from the city and you’ll find yourself surrounded by some of Western Australia’s oldest vineyards, award-winning wineries and microbreweries, gourmet sweet treats and fresh produce, arts and crafts and beautiful natural bushland. The independent and easy way to get around Perth and see its best attractions. 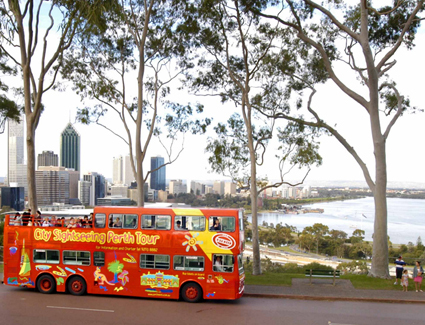 The Hop On - Hop Off open double decker allows you to discover Perth at your own pace. Stay on board for a 120 minute guided tour of the city or hop on - hop off all day - it's up to you! 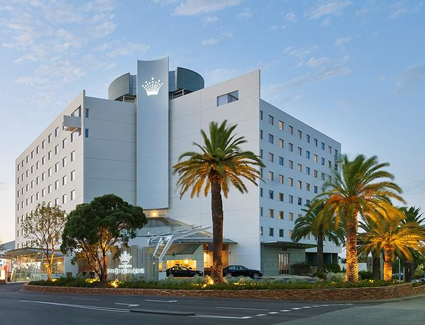 Our travel packages include Ticket and Accommodation at Crown Perth. No worries! Check our Tickets Only page and select your race day, add your dining venue to your basket and secure your spot in a matter of minutes! Our Flying Colours Restaurant is the ideal location to enjoy a day at Ascot Racecourse. 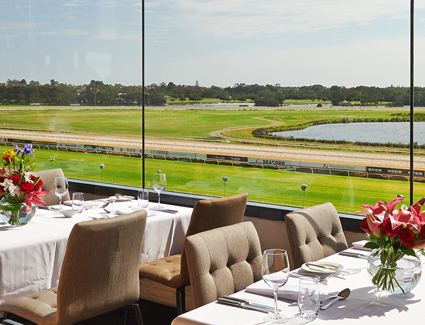 Serving a delectable 5 course (24 November) or 4 course luncheon (1 & 8 December), you will also enjoy a drink from the carefully selected beverage list and marvel at the magnificent views of the track as you watch all the action from the comfort of your reserved table. 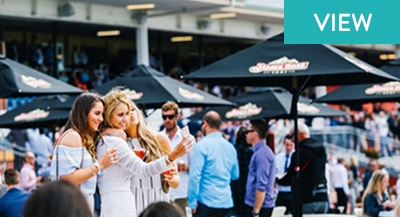 *Tables must be filled to capacity on Kirin Railway Stakes Day – 24 November. Please note if you cannot fill a table you may have to share with other guests. Tables seat 4, 6 or 8 guests. Indulge in a four course buffet luncheon and enjoy a day of socialising and great racing with friends and family, all from the comfort of your personal reserved table. The lower level is ideal for smaller groups of 6 or less and provides a bird’s eye view of the track for you and your guests. 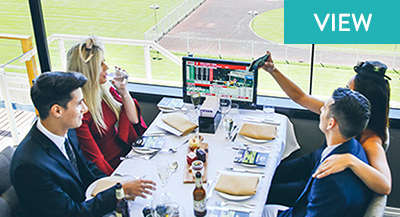 Each table has a private LCD screen as well as offering access to the outside area of the grandstand. Table configurations of 4 or 6. *Tables must be filled to capacity on Kirin Railway Stakes Day – 24 November. Please note if you cannot fill a table you may have to share with other guests. The feature of the 2018 Ascot Racing Carnival is the TABtouch Masters. 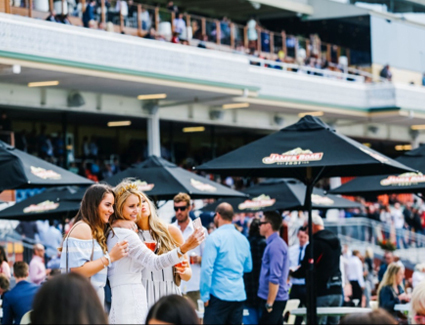 It’s seriously good times with the Kirin Railway Stakes, Crown Perth Winterbottom Stakes and Magic Millions Kingston Town Classic, each day offering a spectacular $1,000,000 race! Top racing, entertainment, fashions, celebrities and outstanding food & beverage options all day long.